Jerry and Elaine have been in a secret relationship for almost ten years. Jerry finally proposes and Elaine excepts. Jerry and Elaine get together to tell George and Kramer. They are shocked to find out that Jerry and Elaine are together. The wedding plans are underway. The couple decides to have a destination wedding at resort in New Mexico. Jerry now has a major problem, choosing a best man. Both George and Kramer want the honor. George feels obligated because he is Jerry’s Best Friend and Kramer just wants to feel important and involved. So they both compete against each other to prove to Jerry who the better man is. So Jerry decides to make both of them the best man. George is responsible for getting the ring and planning the rehearsal dinner while Kramer is responsible for the bachelor party. 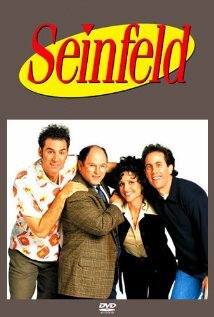 Jerry makes a big mistake involving Kramer when he learns that the party entertainment consists of transgendered women. George looses the wedding ring and goes to an unlikely source to find a temporary replacement— from Newman. An uninvited Newman weasels his way into the wedding by blackmailing George. Elaine decides to invite the list of women that Jerry has dated throughout the years to test his loyalty to her. Jerry feels awkward about the whole thing as several women approach him with past issues, Jerry is even seduced by some, but in the end remains faithful to Elaine. Jerry survives the bachelor party, and George manages to pass the ring off. Newman is viewed as a wedding crasher in Jerry’s eyes, but all witness the couple happily Pledge their love for each other. I hope you all enjoyed this piece. Just visualizing the characters experience this possible sinaro makes me laugh.